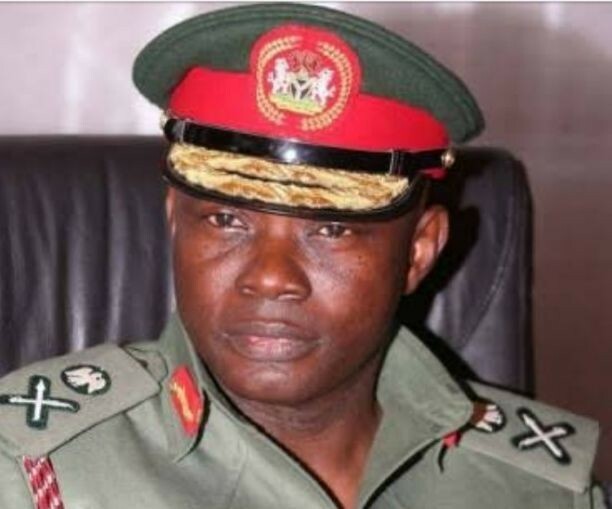 The Nigerian Defence Headquarters on Monday said, its troops killed 14 bandits, rustlers and kidnappers during its ongoing operation 777 while two civilian JTF also lost their lives in action by fire from the bandits. Briefing newsmen on the achievements of the ongoing operation 777 at the headquarters, 1 Division Nigerian Army, Kaduna, Acting Director, Defence Information, Brigadier General John Agim said, 2 soldiers were also wounded and were currently receiving treatment at military hospital, Kaduna. The Chief of Army Staff, Lieutenant General Tukur Buratai and Chief of Air Staff, Air Marshal Saddique Baba Abubakar among other top public officeholders had visited Birnin Gwari, Birnin Gwari local government area of Kaduna State, the epic centre of the activities of criminal elements and promised to establish military base to properly address the menace. According to the Acting Director, a total of 31 persons comprised 18 children and 13 adults were rescued from kidnappers while 522 cows and 42 sheep were also recovered from rustlers within the area of operation. He said, “since the commencement of operation 777 on October 8, 2018, significant and modest operational successes have been recorded across the nation. “Under operation WHIRL PUNCH, 1 Division NA is tasked to provide security and restore normalcy along Kaduna – Abuja highway and Birnin Gwari and its environs as well as Niger State, which were hitherto devastated by the activities of bandits, kidnappers, armed robbers and cattle rustlers. “So far in the operation, 14 notorious bandits, cattle rustlers and kidnappers have been neutralised and several assorted sophisticated arms, ammunition and large herds of cattle have been recovered. “A total of 18 AK47 riffles, two pistols, three mobile phones, one Motorola, large cache of ammunition and 32 motorcycle have been recovered”, he added. said, the NA has established Nigerian Army Forward Base (FOB) in the area while the Nigerian Air Force also has plan to establish FOB to support operation WHIRL PUNCH in Birnin Gwari general area. Commander, 1 Division Garrison/Commander 1 Division Internal Security Force, Brigadier General Jimmy Akpor, said, “we are heavily deployed on that axis. We are committed to ensuring peace and security of Birnin Gwari and that was why both so we can revive the economy activities in the area.